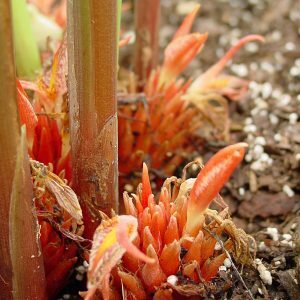 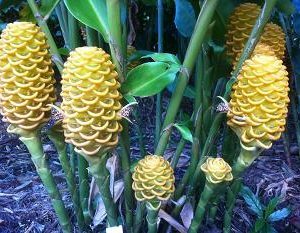 Zingibers have highly aromatic leaves and rhizomes, one species produces edible ginger used in cooking. 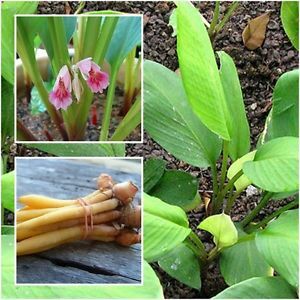 In Pacific Islands and Asia, leaves and rhizomes are used to flavor meats and fish and make medicines and shampoo. 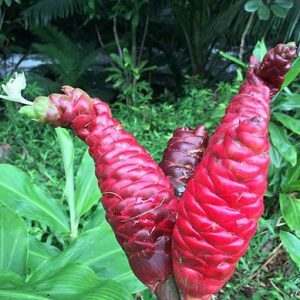 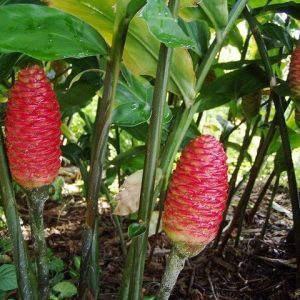 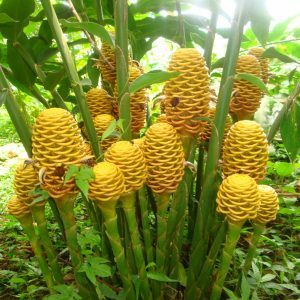 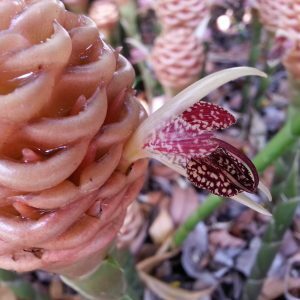 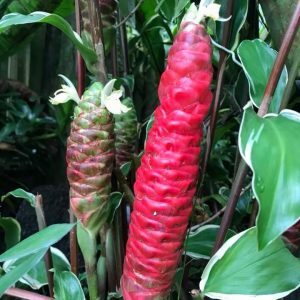 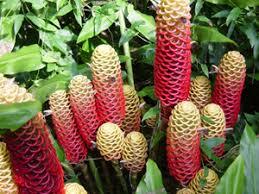 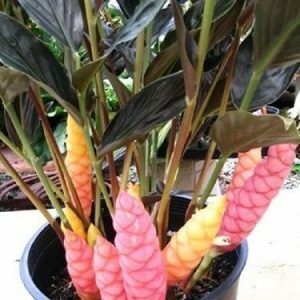 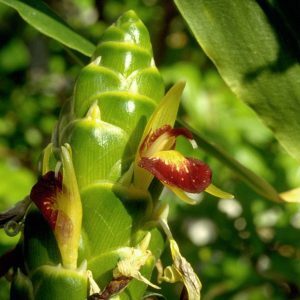 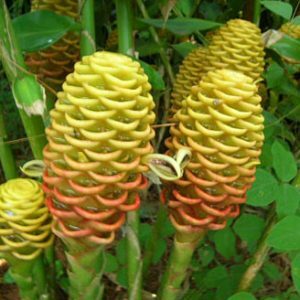 Some varieties of the Zingiber family include beautiful variegated foliage, beehive shaped bracts or even berries. 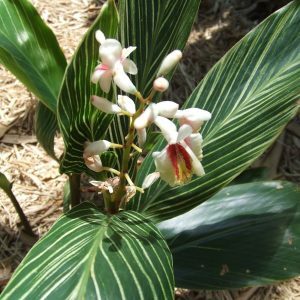 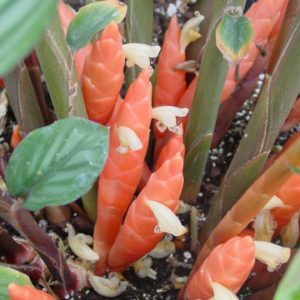 An easy to grow member of the ginger family, they love heat and humidity but prefer shade of filtered sun to look their best. 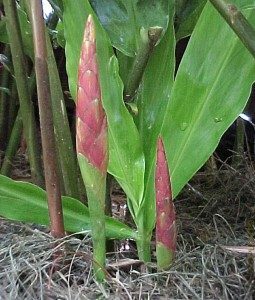 Some varieties are evergreen, while other take a winter rest.